Very tasty combo of Methi leaves,dal and pineapple.One variety of fruit Sambar with methi leaves.Methi leaves r said to cure ulcers.So its good including fresh methi leaves in ur food as often as u can.Try this recipe at home. Pressure cook the toor dhal with green chillies-3 no.s,onion slices,1 tsp cumin seeds,asafotida powder,chopped coriander leaves- 1 tsp,1/2 turmeric powder ,sambar powder and 400ml water upto 6 whistle.Mash the cooked dhal after sometime and keep aside. Heat Coconut oil in a pan, fry mustard seeds,cumin seeds,red chillies,curry leaves and chopped sambar onions till golden brown. Add chopped methi leaves and pineapple pieces and saute for a min. Add 1/4 tsp turmeric powder,1 tsp chilli powder and salt and cook for 2 more mins-adding 100ml water. Add the prepared dhal curry and coriander leaves.Cook for 3 more mins.Mix well.Turn off the flame. Serve this tasty Methi-pineapple Dhal Curry hot with steamed rice or Indian Breads. (Ur kids will ask for this dal curry more). 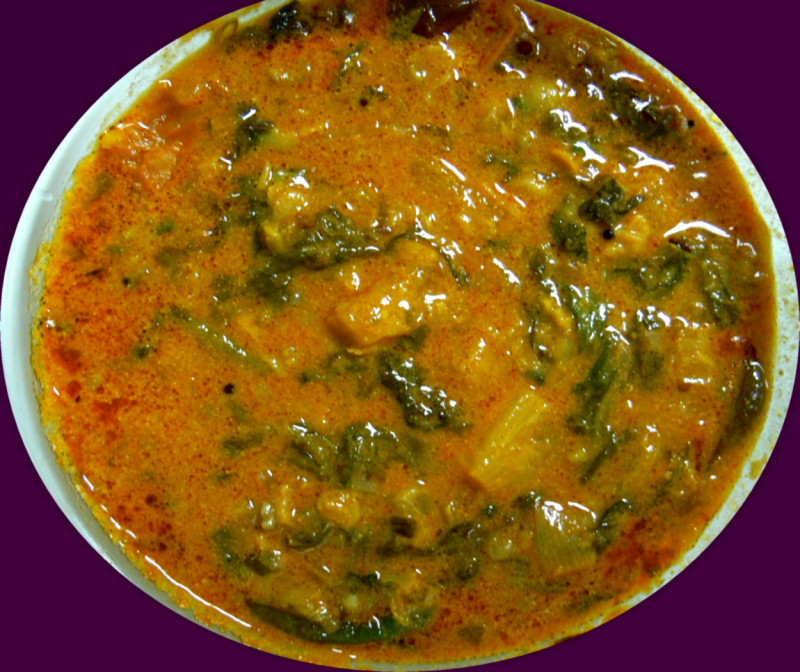 Hi rabz!,I'll be happy if u give this recipe to ur Mom-In-Law.It is a Sweet and Sour Methi Dal Curry. Thanks a lot!.Bye!. Very,very different christy My mum in law will love it as she is a fan of daal and pineapple. Thanks.